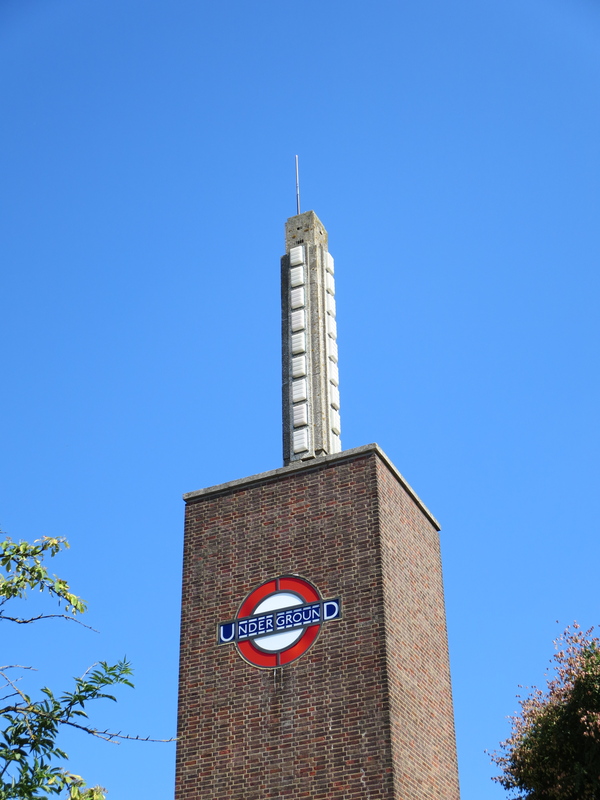 Ah, if only this really were the top of a London Underground skyscraper, its summit boasting restaurants, swimming pools, viewing platforms and the entrance to a giant chute down which you could slide all the way to the station entrance. It’s still utterly spectacular, despite possessing none of these things and being the width merely of a mildly stout man. In fact, I’m not sure you can get inside it at all. I suspect it is entirely filled with concrete. But no matter, for it caps what is an extraordinary tower of beauty sitting in a location of brow-furrowing ordinariness. 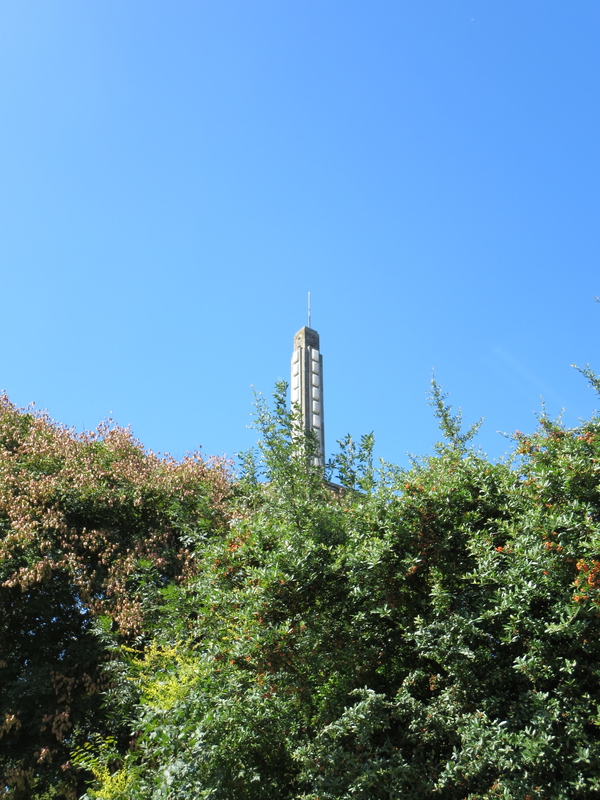 The tower’s practical job seems to be as a landmark to help people approaching from a distance. Its job as a piece of architecture is more subjective, and probably rests on your view of European design of the 1930s. That, and whether you find a massive pile of bricks and concrete appealing. Which they are, obviously. 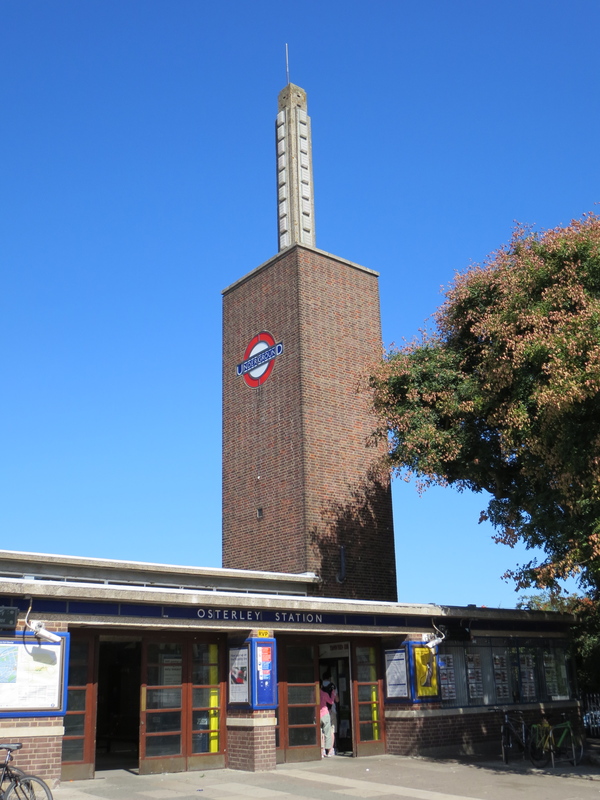 The station was the work of Stanley Heaps, following the style developed by Charles Holden up at the other end of the Piccadilly line. It’s a gloriously imaginative, chic and daring prong of modernism. From a certain height, and in a certain era, it resembles a huge electrical jack or futuristic transmitter, the kind up which diabolical masterminds would send messages to testicle-shaped aliens, and from which monsters and maidens would dangle. At night those panels on the side of the concrete obelisk light up, making it look even more other-worldly – yet still attractive, even alluring. It’s such a simple idea: build a great big tower then make it even higher. But it’s one that also manages to sum up the combined, intricate appeal of the Underground: its impulsive ambition, its stylish audacity, its pride in being noticed, its joy in being admired. Not bad for a poke in the sky. This is possibly the shabbiest thing I’ve included in this blog so far. And frustratingly, it would be one of the easiest and cheapest to remedy. I’m not sure if there’s regulation paint available from TfL central stores for the decorating of roundels. Come to think of it, I’m not sure there’s even a central store. 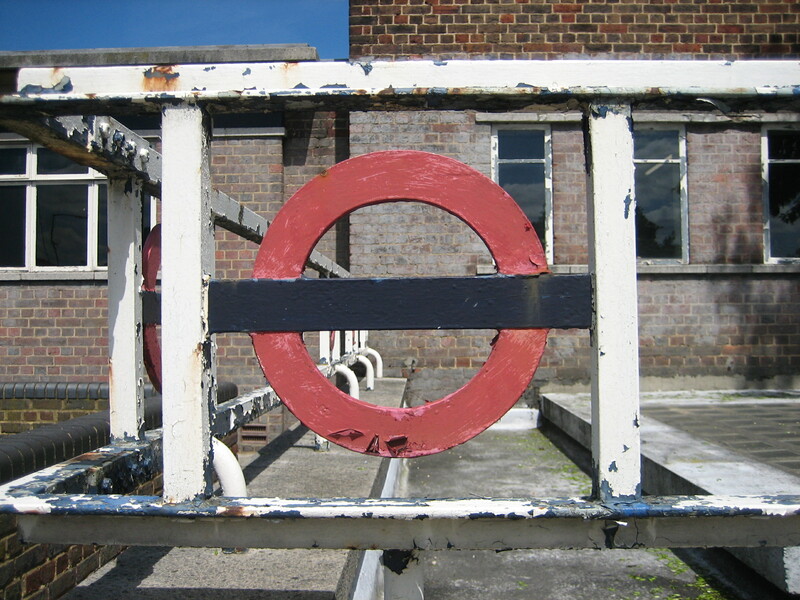 But oh, I wish there was one, from which a few tins could be sent up the Central line to give this lovely little roundel and its row of neighbours a fresh coating of red, white and blue. Failing that, how about an initiative launched by the local community? Then again, I’m not sure there is much of a community along the Eastern Avenue. I see that Jessie J was born in Redbridge. Perhaps she could front a campaign and raise a bit of money doing what she does best*. 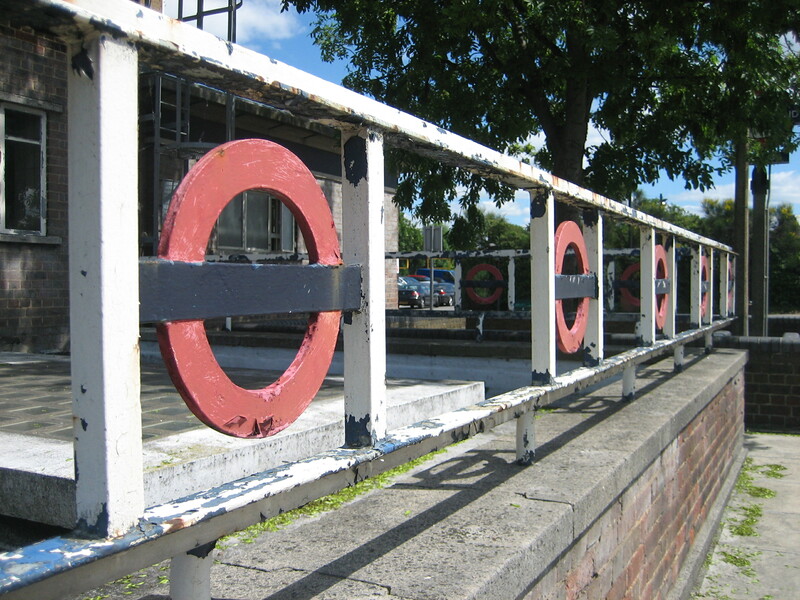 The station has been given Grade II-listed status, but I don’t know if this includes the bits round the back, where these weathered balustrades keep watch: Cold War relics with less menace than Checkpoint Charlie but just as much elan. 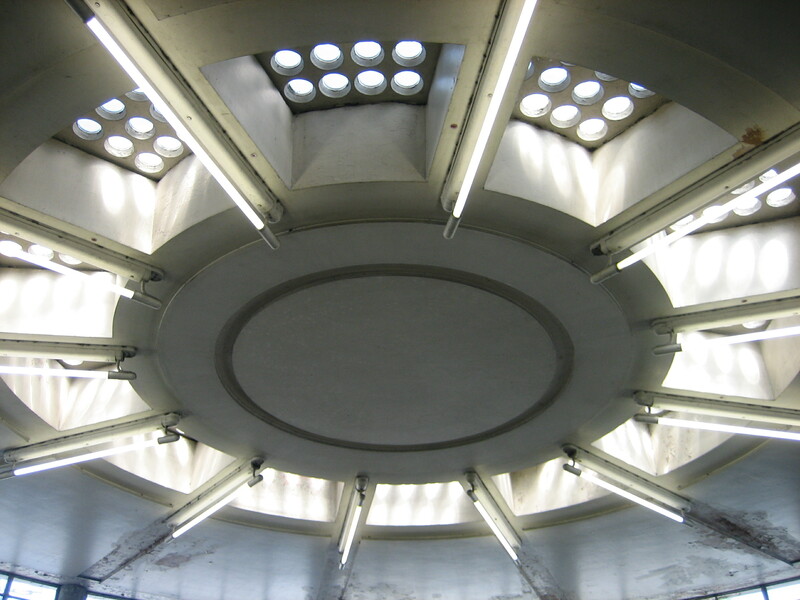 Equally gorgeous is the roundel-esque roof of the ticket hall, which foreshadows by a whole 40 years the kind of alluring mix of concrete and illumination you can find studded along the Jubilee line extension. It also looks like part of a studio set from an early-80s episode of Doctor Who, but I’m willing to forgive it that. Perhaps when they come to do up the roundels out the back, they could make good in here as well. *By not singing. I’d sponsor her. A bit of an atypical choice, this. I’ve included it not because of something, but despite. 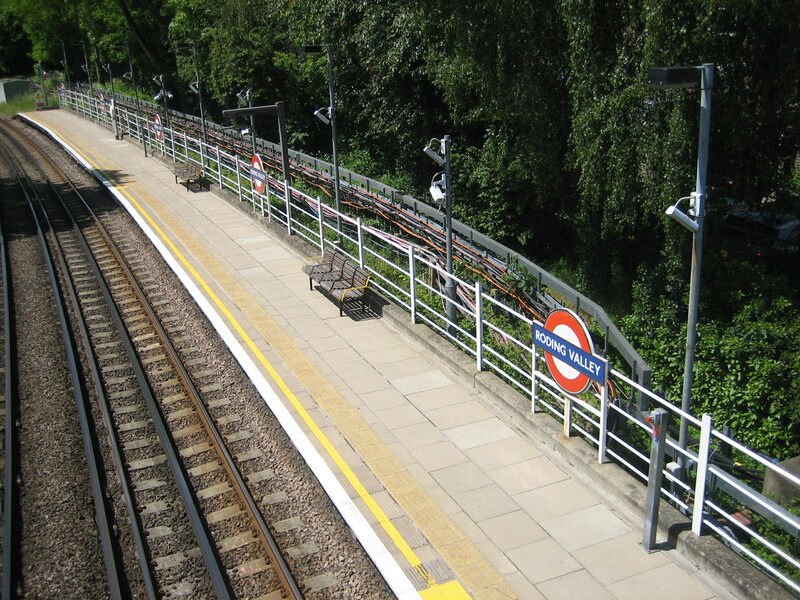 What’s great about Roding Valley is that despite being the least-used station on the entire Underground, it continues to exist. Moreover, it does so – to paraphrase the Bluetones, another outer-London treasure – with a little charm and a lot of style. Don’t come here looking for architectural wonder or lashings of imaginative design. Give Roding Valley a miss if you’re out to sample the Underground at its aesthetic finest. Do come here, however, if you want a sense of the network going about its business modestly, extremely quietly, and in the absence of arithmetical tumescence. Build a station and they will come. Even if it’s around 220,000 people a year. That’s an average of 602 a day – roughly the number who move through Victoria Underground station every 90 seconds. 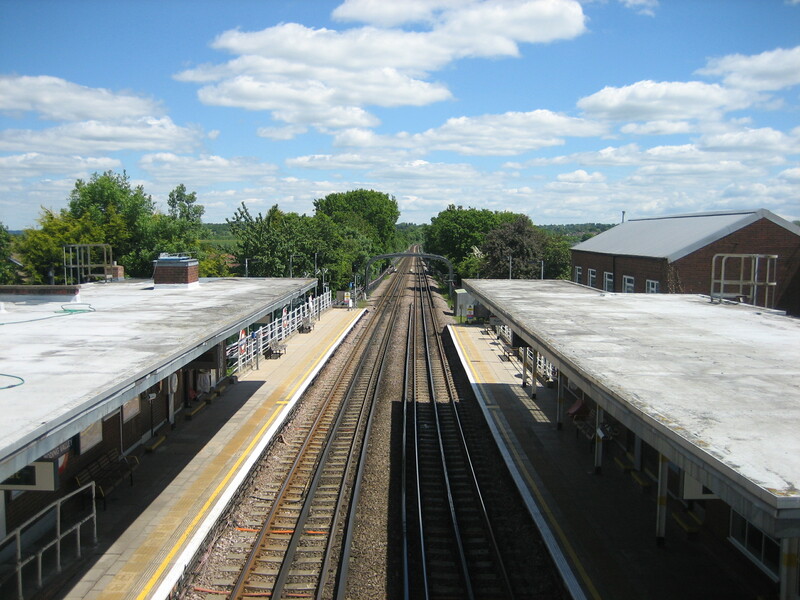 Compared to central London, every time is off-peak time at Roding Valley. But pass this way in the dead of morning, or in the hollow of an afternoon, and you might not see another soul during the 20 minutes you can spend waiting for a train. I didn’t. And I rather enjoyed it. You can also, if you want, pretend the place belongs to you. I did. And I rather enjoyed it. Though it’s impossible to ever completely relax and, say, start dancing along the platform. Cameras are in evidence, connected to a location miles away where people are present, watching for unfamiliar faces cutting some rug or loitering to take pictures. If you’re after that certain kind of stillness that only dwells in barely-breathing stations that are best known for making footnotes rather than headlines, there can be fewer more pleasant locations. And even if you never have cause to visit, it’s awfully nice to know that Roding Valley is there. Despite… well, despite pretty much everything.